Alejandra Necklace Set will perfectly accentuate your everyday looks. 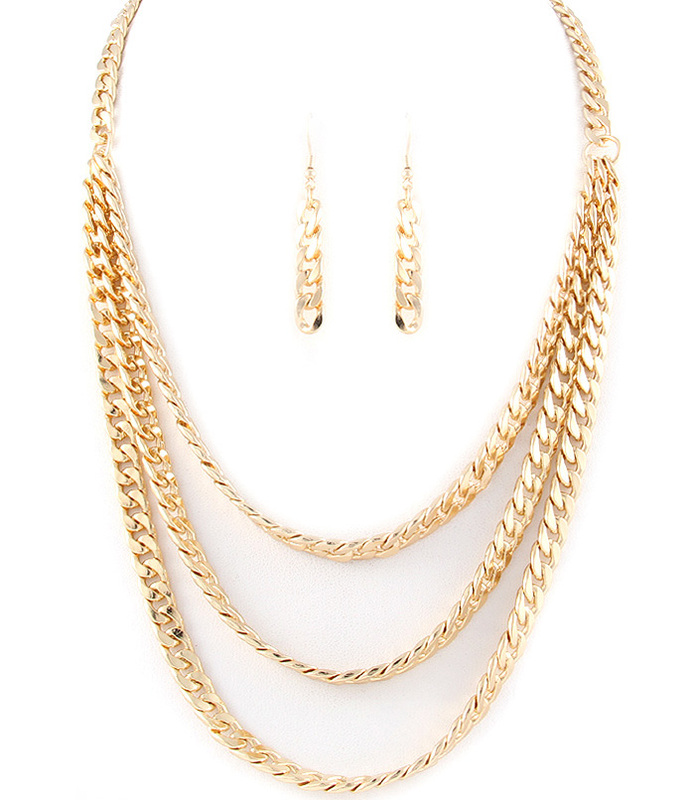 The necklace features gold-tone chain links in a multistrand design and the earrings have two long chains each. Add this item to your cart along with other fashion accessories to qualify for a free bonus bling gift.